Mukesh Ambani has announced launch of Reliance Jio Phone at the Reliance Industries Limited Annual General Meeting. Reliance Jio Phone is a smartphone with 4G VoLTE network connectivity feature. This phone will be available for pre-booking from 24th August, and it will be sold on the basis of first come first serve. This all new Jio Phone by Mukesh Amabani has titled it as India ka Smartphone as it will come bundled with features like SD Card Slot, 4-way navigation and many more things. JioPhone users will have various options to select from plans like Rs.153/- Monthly Plan, Rs.54/- Weekly Plan and Rs.24/- two days plan with same features. You can get this India Ka Jio Phone free of cost, but there is some twist that is you will have to pay refundable security deposit of Rs.1500/- which will be refunded to you once completing 3 years. JioPhone features 2.4 inch display. 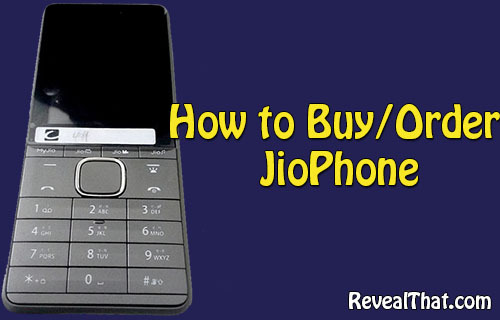 Below is the method which we have explained on how to book or order or buy Reliance JioPhone. If you want to buy this JioPhone you will have to pre-book it, as it will be sold on the basis of first come first serve. You can easily pre-book this JioPhone by using MyJio App or you can visit nearest Jio Retailer. The pre-booking of JioPhone will commence from 24th August free of cost by paying security deposit which would be refunded to you after completing 3 years. As you all know that Jio is going to launch their new phone with a price of just Rs.1500 only. Actually, Rs.1500 is just a fee to buy this phone but you will get a full refund of Rs.1500 within 3 years of time. So, in short this phone will be free for everyone. Pre-booking for this phone is already started and you all want to pre-register Jio phone Via SMS. In order to book the JioPhone via SMS, all you need to Type as JP your area pin code Jio store code near your area. Now send the SMS to 7021170211. Once you send the SMS to the above number, you will get a “Thank You” message from Reliance Jio and you will be successfully registered with pre-Booking.